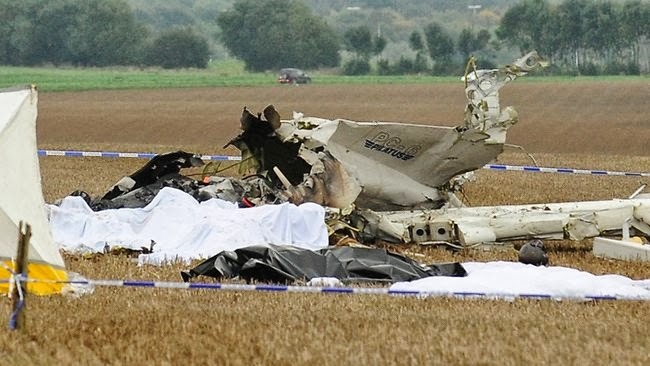 Just recently in Belgium there occurred a devastating plane crash, taking all the lives of those who were on-board. It was supposed to be a fun day, but it had all gone wrong. The Pilatus PC-6 Turbo Porter plane which the instructor and the skydiving pupils were all boarded on took off in partly cloudy weather. A few minutes away from where they took off witnesses say that they saw part of a wing break off, which sent the plane skydiving itself. One witness said in his own words “It nose dived and crashed into the ground like a stone.” The plane was estimated to be 3km high above the sky before it suddenly came plummeting down. The skydivers and instructor had no time to escape, a few tried but failed doing so. Everyone on board was tragically killed. No one was hurt on the ground, but the families of those who had died were definitely hurt inside.